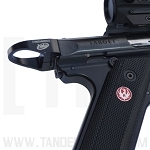 The TANDEMKROSS "Victory" Trigger is the best MKIV™ trigger on the market - perfect for rimfire challenge, steel challenge and other competitive shooting sports. 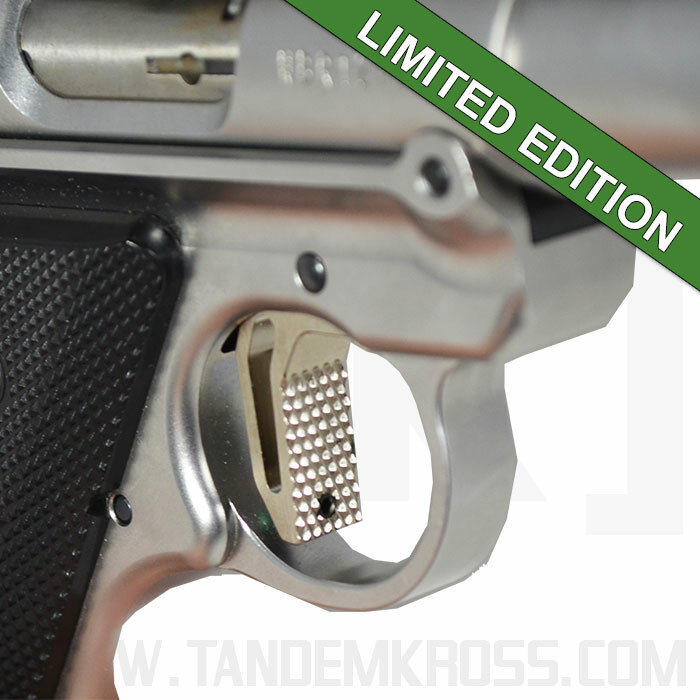 For a limited time, get a Mark IV™ trigger in *limited edition* nickel electroless plated chrome! The Ruger® Mark IV™ has quickly grown in popularity in the rimfire market since its launch, but even a good gun can be made great! 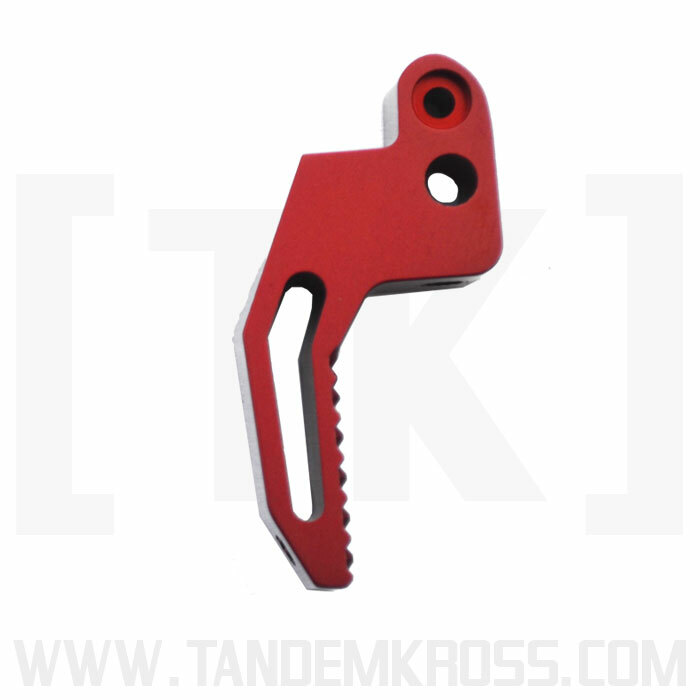 The new TANDEMKROSS “Victory” Trigger for Ruger® MKIV™ is the ultimate MKIV™ trigger upgrade - ideal for speed shooting and other competitive shooting sports! 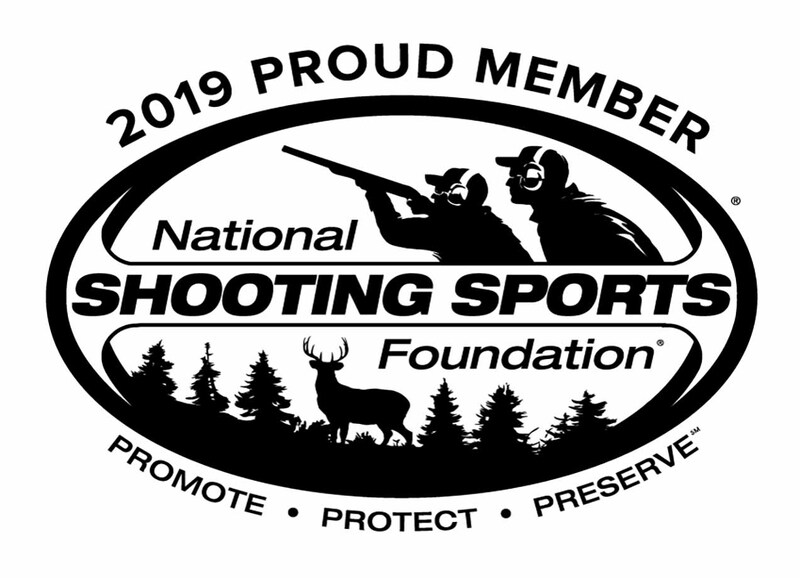 The lightweight, skeletonized design of the trigger provides a flat face that allows the shooter to pull straight back, making it easier to tell if you’re pulling too far to the left or right. 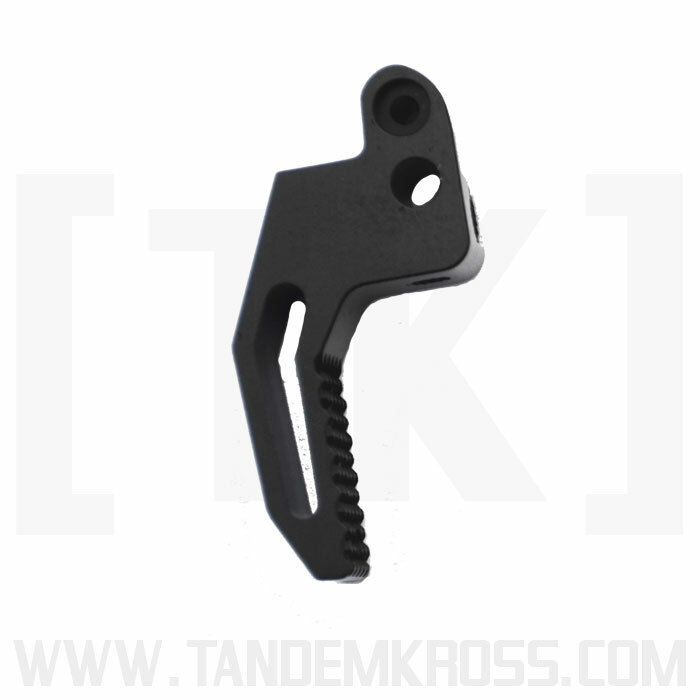 The flat face also makes it easier to place your finger lower on the trigger, increasing leverage and giving the perception of a lower pull weight. 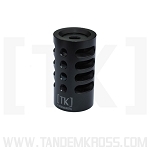 The TANDEMKROSS “Victory” Trigger comes with pre- and post-travel adjustment screws, allowing the user to customize their trigger upgrade. 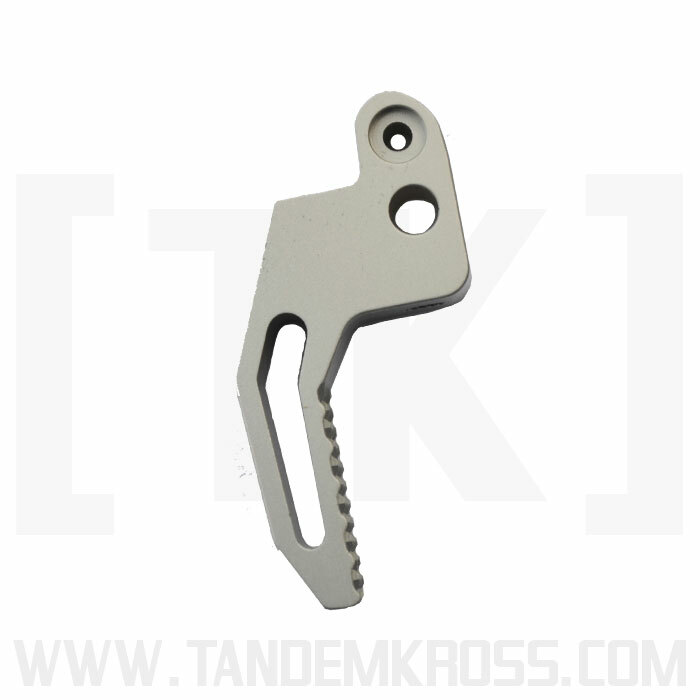 The textured trigger, made of aircraft grade aluminum, provides a no-slip surface regardless of weather and ensures short, repeatable, identical trigger pulls every time. 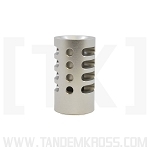 The TANDEMKROSS “Victory” Trigger for Ruger® MKIV™ is one of the best MKIV™ accessories for competition shooters. Get yours today and take one step closer to VICTORY! The trigger is available in black and gray. 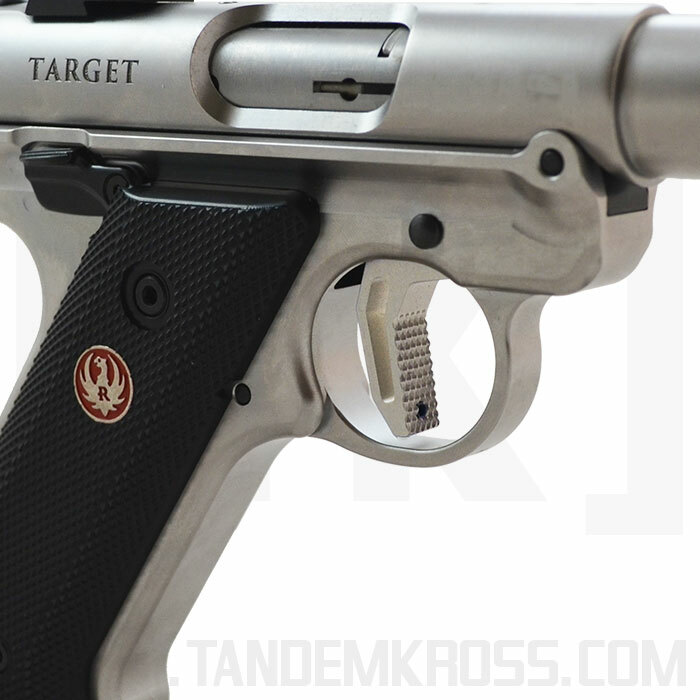 *Note: This trigger does not fit the Ruger® MKIV™ 22/45™ LITE. 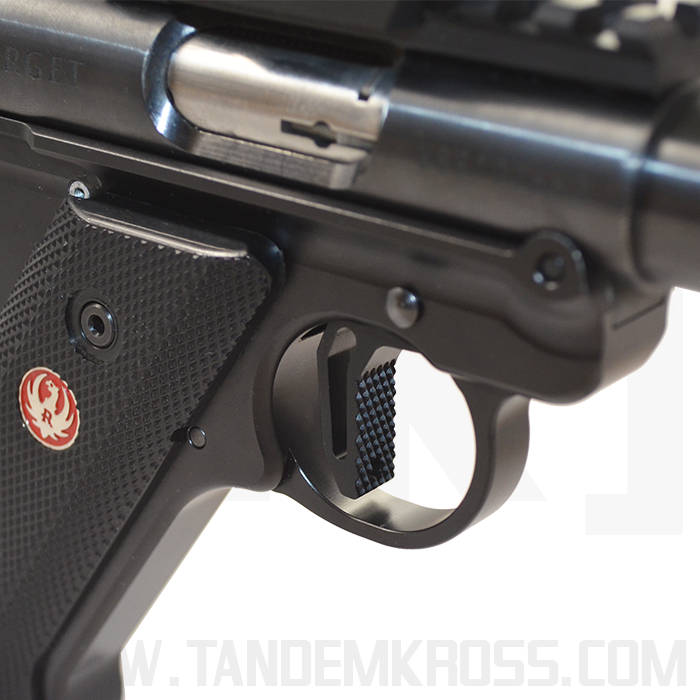 For 22/45™ trigger information, please click here to view our "Victory" Trigger for Ruger® 22/45™. Ok, at first I thought the two page printed instructions looked a little too easy and I wondered if it really would be that easy to change these out, I got one black one and one silver one for two of my Mark IV pistols. So I went to my work bench with the instructions and the guns and the triggers and the first one went in fairly easy and the second one was a snap since I had completed one already. It is important that you do follow the instructions and thread the two travel screws in the way they tell you to, if you wait until the trigger is installed good luck getting the screws in, you will be able to do it but it will take you a LONG time. Next remember to use blue locktite on the travel screws so they do not move on you after adjusted. These triggers made a huge impact on the trigger pull and shooting, well worth the money and a simple installation. You will not regret getting one of these triggers for your Mark IV! 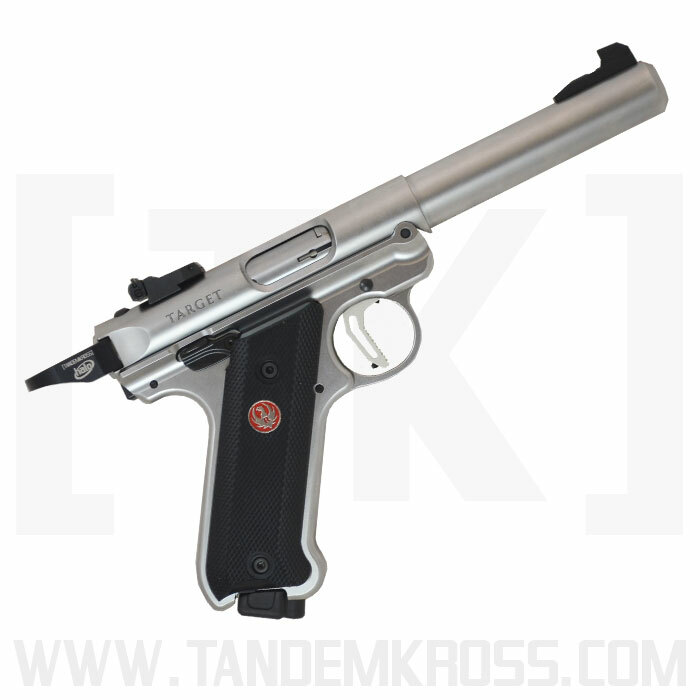 Got to say first that new Ruger Mk IV is AWESOME. I've used a tricked out Mk II for many years and pretty used to the hassles of disassembly and expecially reassembly of these fine 22s. The Mk IV has fixed that problem completely! 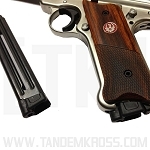 I got the Hunter model (for it's great looks), but it has a heavy trigger pull at 5 pounds (well, it IS a hunting gun after all), so was pleased to get the Tandemkross trigger upgrade. Much nicer than the stock Ruger trigger, but only dropped pull about 1 pound. I'm a competitive 22 pistol shooter, so hoped for a larger drop in pull. But it really did help my scores by an average of 10-15% due, I believe, to better purchase on the trigger. I followed the instructions Tandemkross gave for the Mk III and had no problem installing the new trigger myself I like these Tandemkross folks, and am looking forward to what they make for us next! 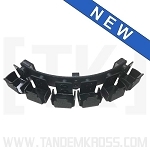 The textured flat face, adjustable trigger is high quality. Really helped the feel of the MK IV. Easy DIY install. Need to add the Volquartsen hammer and sear to further reduce the still heavy trigger pull for target shooting. Excellent product. This trigger replaced the Volquartsen trigger on my hunter. 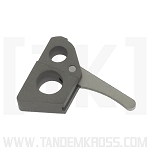 Q: What models does this MKIV Trigger fit? 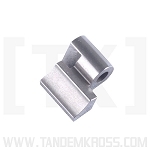 A: This trigger is specifically made for the Ruger MKIV'S. 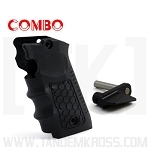 IF YOU HAVE THE MKIV 22/45 LITE OR TACTICAL VERSION YOU WILL NEED TO PURCHASE THE 22/45 VICTORY TRIGGER. Was this answer helpful? 63 of 68 Customer(s) found this Answer helpful. 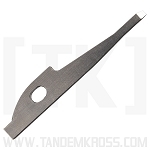 Q: Will this trigger work with the Volquartsen Accurizing Kit for the Ruger MK IV Pistol without modification to either? A: Yes The MKIV Trigger will work with the Volquartsen Accurizing Kit. No modification needed! 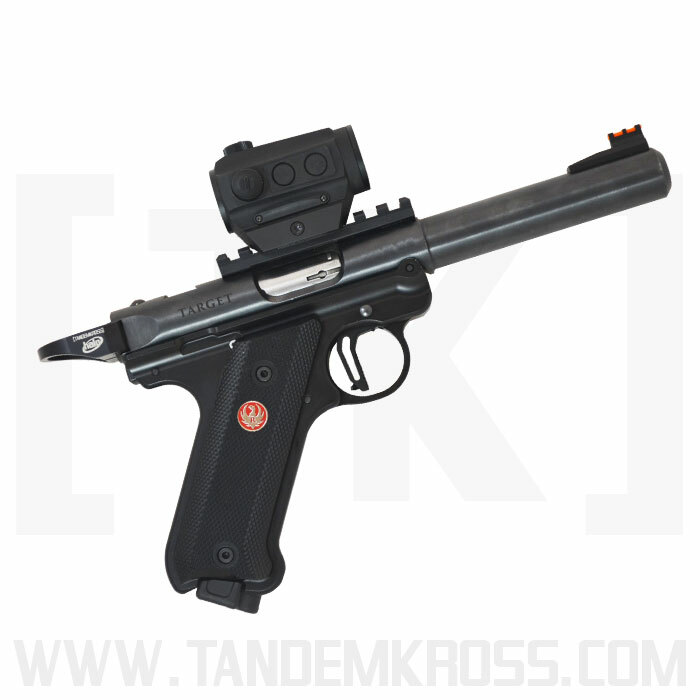 Q: Does this trigger reduce the pull pressure on this pistol like it did on the SW22 victory ? A: Yes this trigger will lower your trigger pull weight. Was this answer helpful? 22 of 24 Customer(s) found this Answer helpful. Q: Where can I watch a video on the installation of this trigger? And/or instructions on the installation. A: YOU WILL FIND AN INSTALLATION VIDEO FOR THE MKIV TRIGGER ON YOUTUBE. IN THE SEARCH BAR TYPE IN MKIV TRIGGER INSTALLATION. THE VIDEO IS MADE BY TWO LOVELY YOUNG LADIES THE COLLIER GUN GIRLS. THEY WILL SURELY IMPRESS YOU. Q: Will the Victory Trigger still work on the Ruger Mark IV after the factory safety recall ? A: The MKIV Victory Trigger will NOT be effected by the MKIV recall. Q: MK IV does not have a lot of room in trigger guard for oversized index finger, will this victory trigger give me more room for the trigger finger in trigger guard or will it remain the same. in other words will the trigger be set back farther than the original trigger from factory? 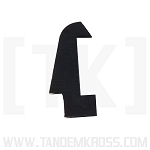 A: Yes this trigger will give you a little extra space in the trigger guard. Q: Will this trigger fit the MK lll? A: No this trigger will NOT fit the MK III. The 22/45 Trigger WILL fit in the MKIII. 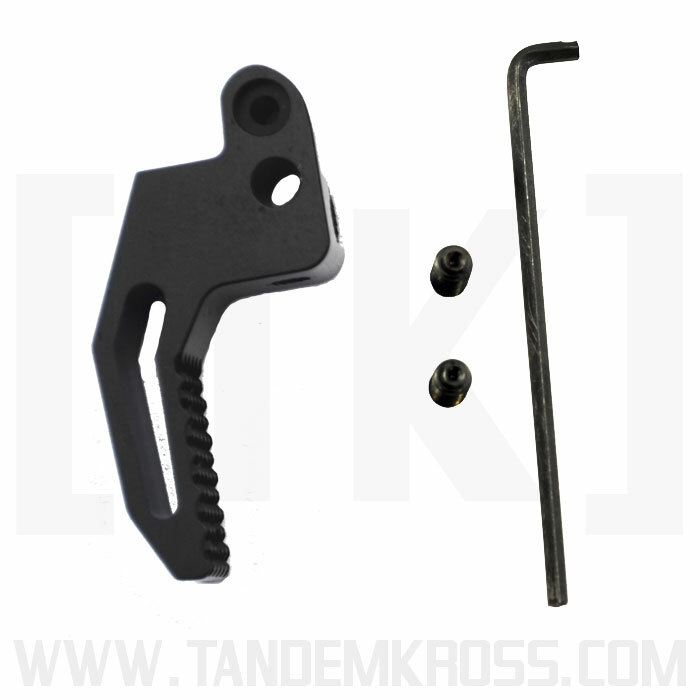 Q: Will this trigger kit work on the Ruger Mark IV 22/45 Lite? A: NO if you have the MKIV 22/45 lite you will need the 22/45 Trigger. Q: Is there a video available for installing this trigger? 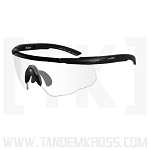 A: Please go to the MKIV Trigger product page to view the installation video. Q: Does the Victory Trigger come with a smooth face? A: At this time we do not have a smooth face trigger.